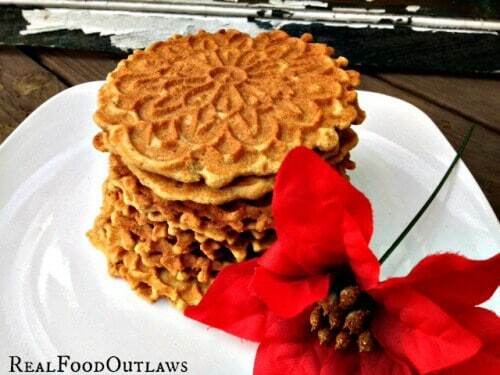 Do you love cookies but you are avoiding eating grains? 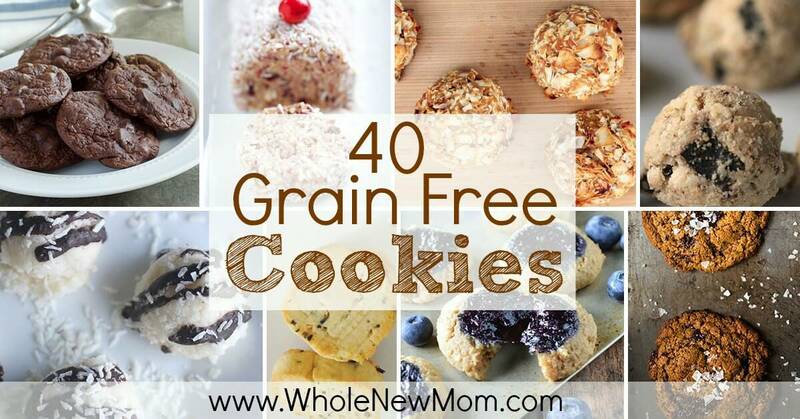 Here is an amazing collection of 40 scrumptuous grain-free cookies to satisfy your cookie-loving desire. We've made a lot of changes to our diets over the years and the most recent change being a move to eating less grain. 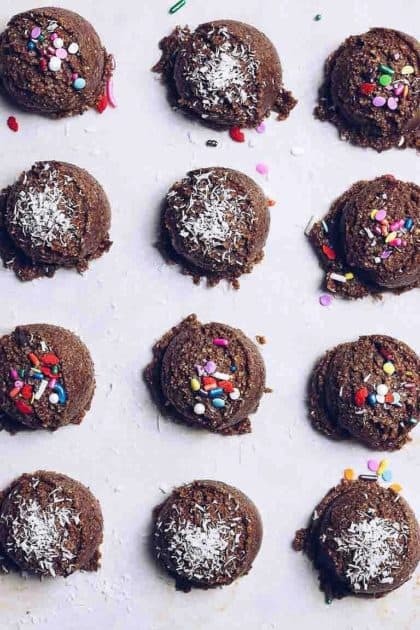 We're not completely grain free, but seeing as so many others are trying to move more and more in that direction I thought that you all might appreciate an assortment of Paleo Cookies to give you healthier options, not only for the Holidays, but for all year round. In my family, we've gone sugar free due to candida, removed dairy, eggs, and other foods from my son's diet (and mine when I was breastfeeding) due to his life-threatening food allergies, then my son went gluten free due to his autism, and now, since gluten is implicated in so many problems such as thyroid disease, the whole family is gluten free. Now, as we are seeking to improve our gut health, we are going more and more grain free. We eat a lot of protein, veggies, some fruits and some beans, but grains are less and less making their showing in our kitchen. It's hard enough to figure out sides when your family is used to eating rice (or pasta) and such, but especially when baking, grain flours are the staple. 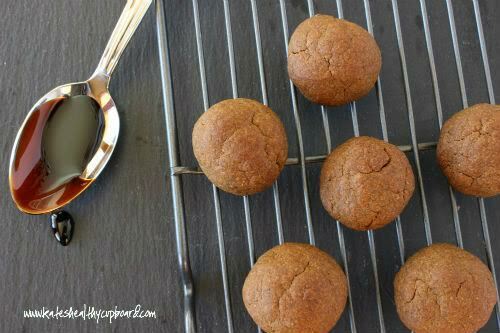 So I've been gathering some yummy Grain Free Cookie Recipes for our family, and now for you all as well. 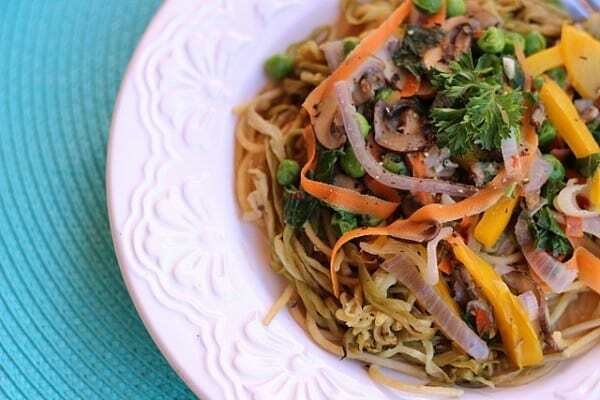 I hope these recipes are a blessing to you and your family as you seek to explore new ways to improve your health as well. 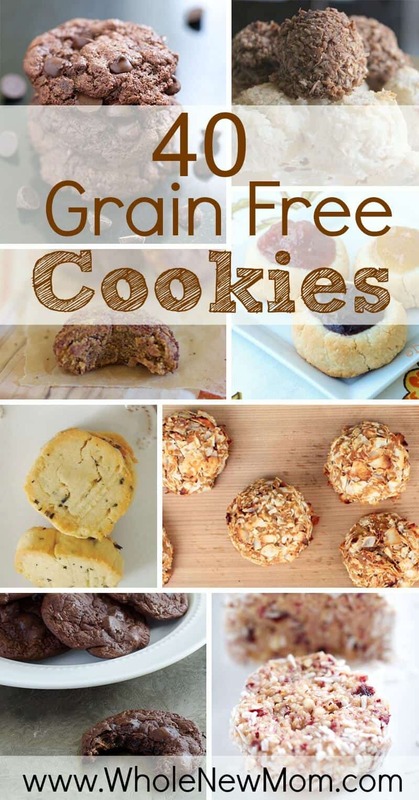 All of the following are grain-free cookies and they are also paleo cookies, meaning they contain no milk or butter. However, most use higher carb sweeteners and some use eggs. Here is what I do to substitute in those cases. 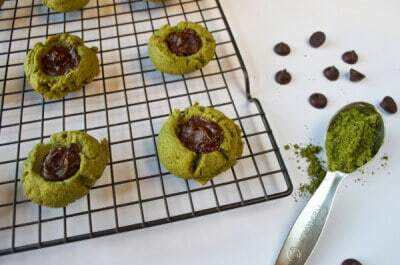 For the most part, if the recipe's base is almond (or another nut or seed) flour, then an egg substitute such as my Powdered Egg Replacer or a flax, chia, or gelatin will work pretty much for any recipe. Of course, the Powdered Egg Replacer has starch so it isn't the best choice for low carb diets. 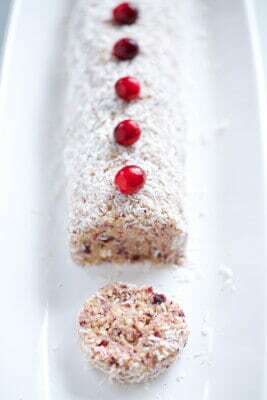 Here is my post on how to make a flax egg. And if you are eating lower carb like we are, you can use coconut sugar or palm sugar, or go totally lower carb by using xylitol, erythritol, or stevia extract as your sweetener..
To use xylitol, just sub in 1:1 for the sweetener being used and you'll be pretty accurate. 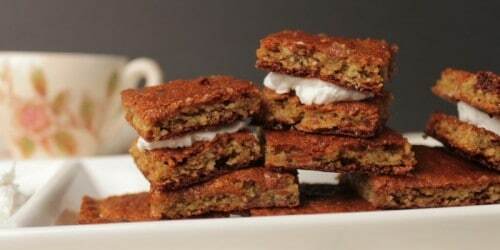 For stevia extract, use 2 scoops, or 1/16 tsp for each 1/8 cup of sweetener. Here's a post on stevia to help you out with that. 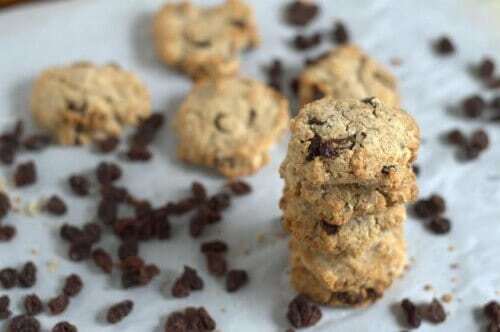 You can also use my Homemade Chocolate Chips for a lower-carb option for any cookie that has chips or chunks in it. 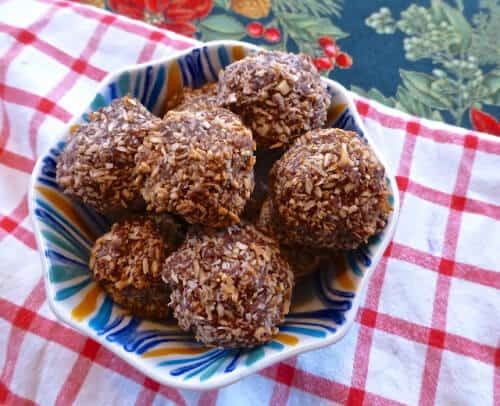 If a recipe contains fruit, you can replace it with coconut, nuts, or a sugar-free chocolate or carob chip if the dried fruit was intended for a low-carb option. 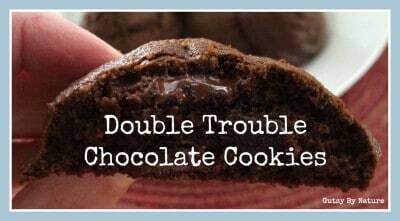 Double chocolate and almond in a cookie? You betcha! 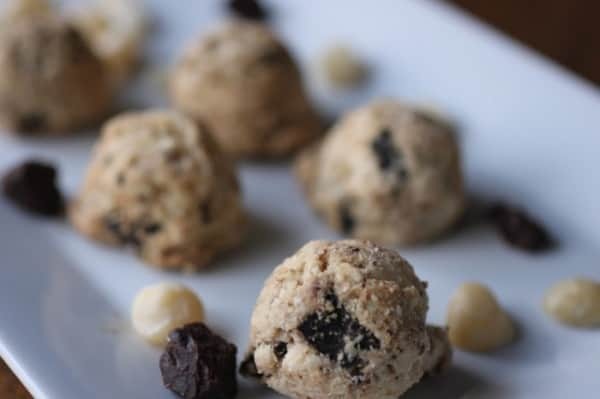 I personally would use my Homemade Chocolate Chips or a low-carb store-bought option for these. If you want to try a vegan option, then I would use my Homemade Egg Replacer for the egg. Don't these look fantastic? 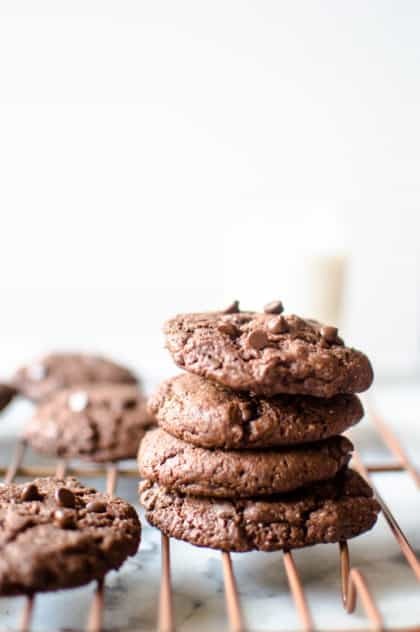 I'm a complete sucker for salt and chocolate and these cookies look like the perfect way to satisfy that craving! 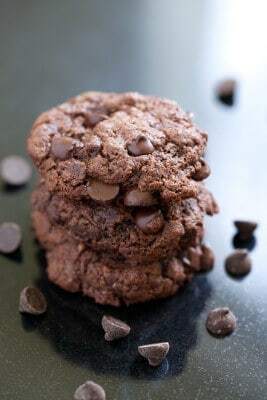 If you are on a low-carb diet, use xylitol for the sweetener and low-carb chocolate chips or my homemade ones for the chocolate. 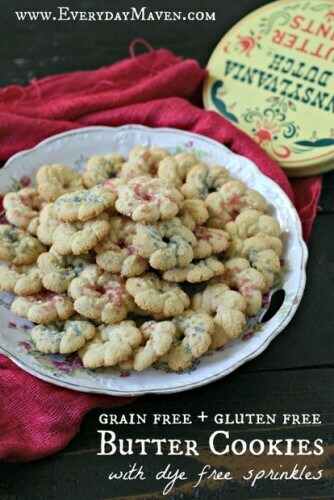 These cookies are perfect for the anytime of year including the Holiday season, and work for the AIP diet too! Eliminate the candied ginger for a low-carb option. Substitute orange juice with 1 T xylitol and 1 T orange zest for a low-carb option. Use the second recipe, which is the grain-free version, since the first one contains gluten. You can try substituting the arrowroot with almond flour or a low-carb blend for a low-carb option, but it won't necessarily work. 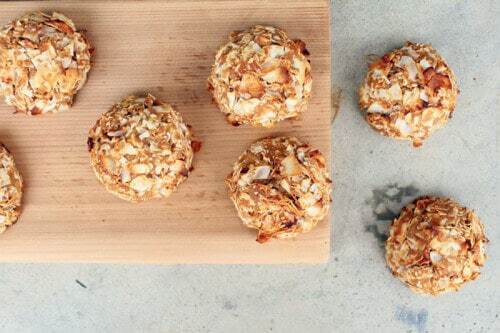 Use the first recipe, which is the grain-free one, because the other one contains gluten. Substitute 2 T xylitol and 2 T orange zest for the orange juice, as well as substitute the arrowroot with glucomannan, for low-carb options. Substitute a low-carb baking blend or almond flour for a low-carb option. 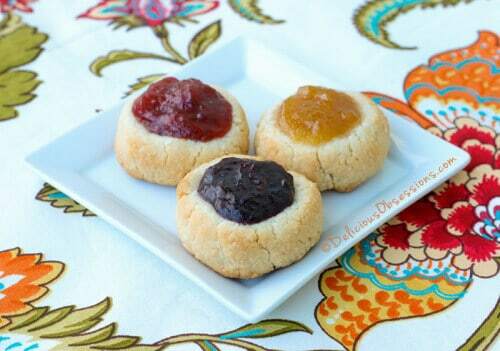 Use a low-carb jam for a low-carb option. 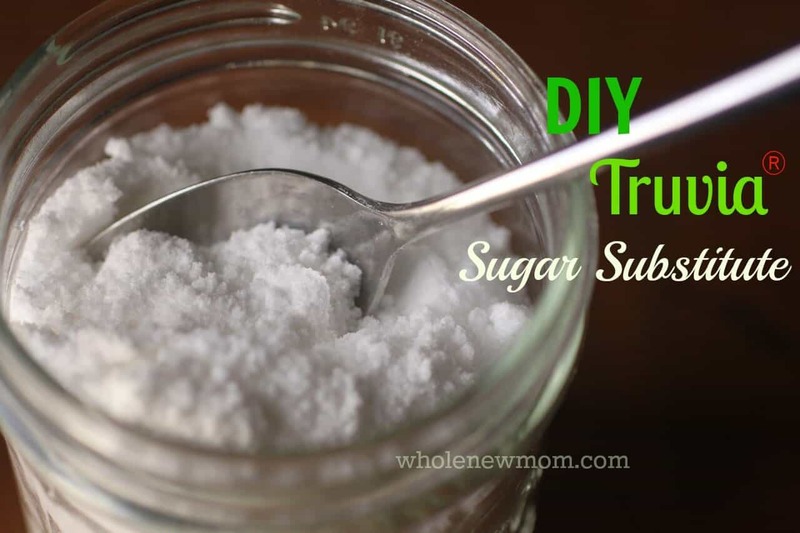 Substitute xylitol and/or stevia for the dates for a low-carb option. These would be hard to make low-carb because they contain a plantain. You could maybe try coconut butter. Here's how to make it yourself. 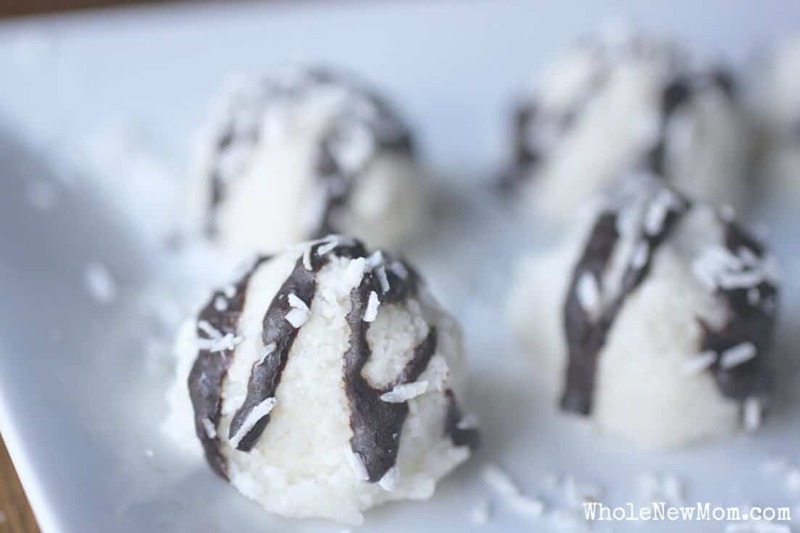 Substitute almond flour for the tapioca and do not use the sprinkles for a low-carb option. For a low-carb option, you can try substituting almond flour or a low-carb blend for the arrowroot, but it won't necessarily work. Substitute glucomannan for the arrowroot if needed. Regarding the fruit substitution that I mentioned at the top of the post, don't worry about that for these because blueberries are a low-carb fruit. 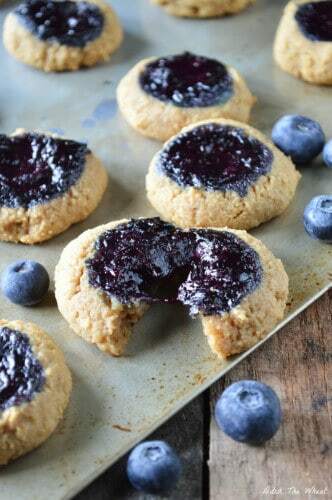 For low-carb, substitute almond flour or a low-carb baking blend for the tapioca flour. So now the question is–which one will you be baking first? Everyone run to the kitchen and get baking! 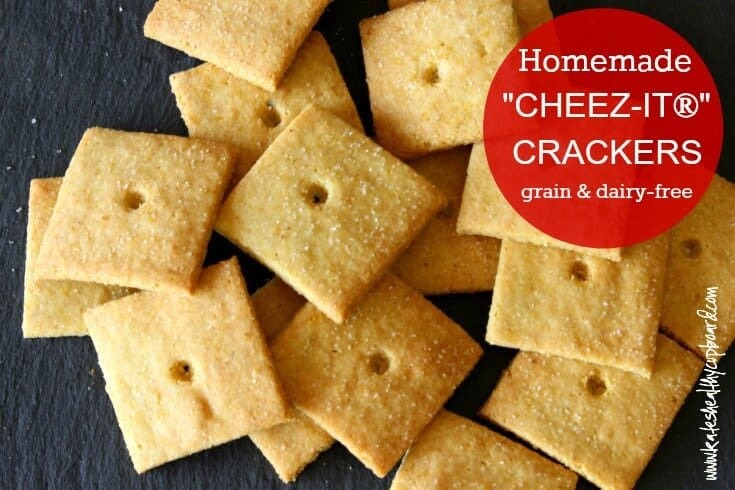 My husband has food sensitivities that are just recently discovered. He has been really good but is missing something desserty. 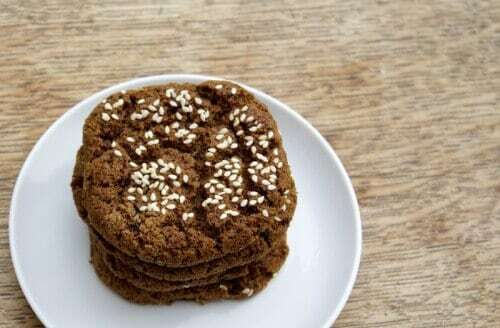 I am looking for a chocolate cookie that has no sugar(maple, honey, granulated sugar of any kind), no wheat, no coconut flour (or shredded), no eggs and no applesauce. 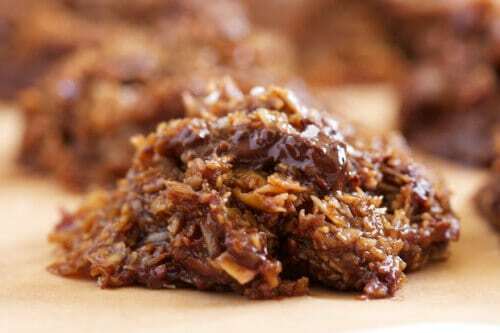 I’d like to use dairy free unsweetened chocolate.I’m thinking of maybe taking something like prunes and stewing them to use as something sweet. Would love any ideas. Thanks so much for sharing this. While I have been gluten free for years now, I have recently discovered I also have severe allergies to rice and corn. 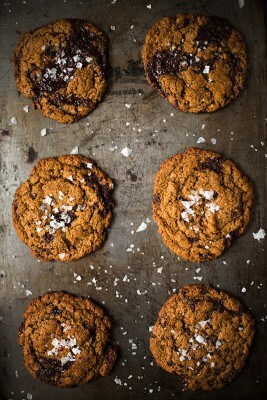 I was so excited to stumble upon your list of grain free cookies, especially with the holidays right around the corner! Hello Hannah! Nice to hear from you! I get compliments on them regularly. Merry Christmas! Thanks! Your comments keep going to spam – so sorry! I think it’s the @ that you are putting in. Nope – ended up in spam again. Maybe don’t put your blog name after your blog. I think that’s what’s throwing it. I am looking into possibly changing spam catchers but I am swamped right now :). Woot! That’s the ticket :)! Happy dance here too – comment victory :)! Wow what an awesome list! I’m currently battling candida and this will be a great source for me! Thanks so much, Jill! Candida is horrid. But these should help w/ the low carb subs! 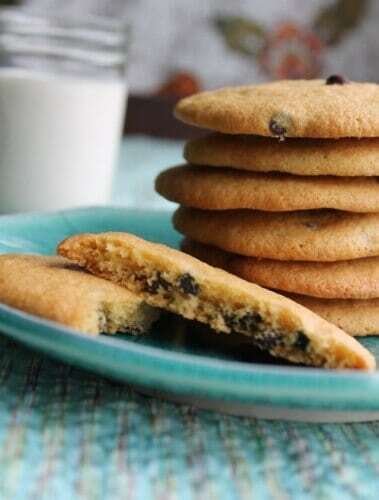 Thanks for including our Paleo Chocolate Chip Cookies, these all look great. You are so welcome! Those cookies look GREAT! I can’t look at the post too much….